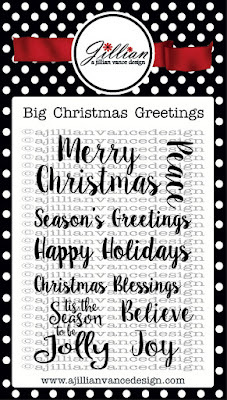 A Jillian Vance Design: An Envelope Card stuffed with tags and gift labels!! 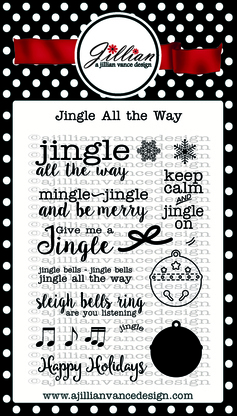 An Envelope Card stuffed with tags and gift labels!! folded in half. Fold one corner back to make a flap. Secure the bottom and side. 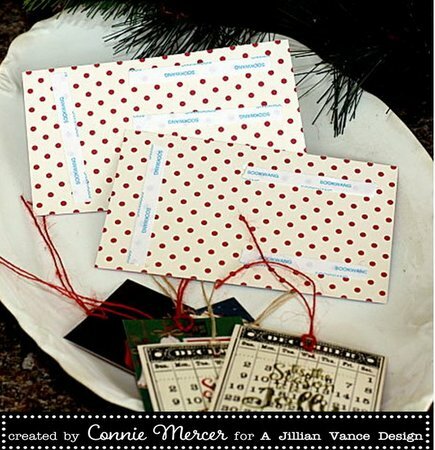 Decorate the front of the envelope card. Empty envelope card~ready to stuff!!! 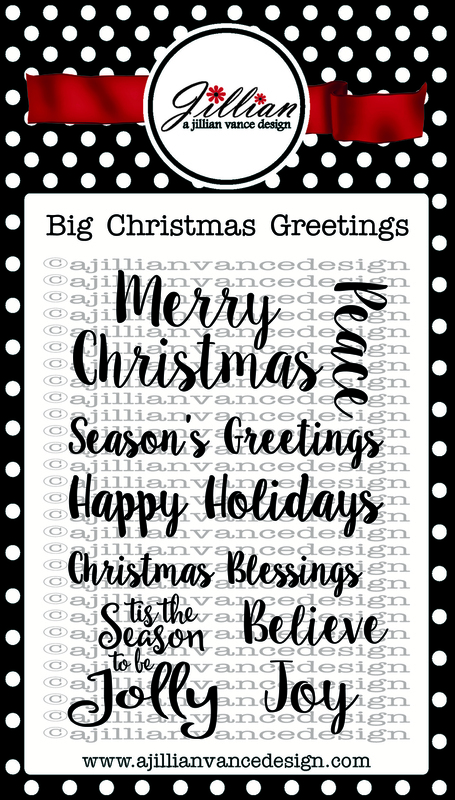 Stamp tags and gift labels using the Big Christmas Greetings by A Jillian Vance Design. Awesome set!! 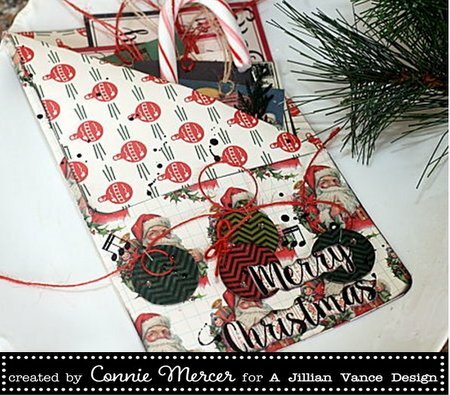 Punch holes in the tags and add twine. it very easy to cut the gift label off the sheet and stick to the package. 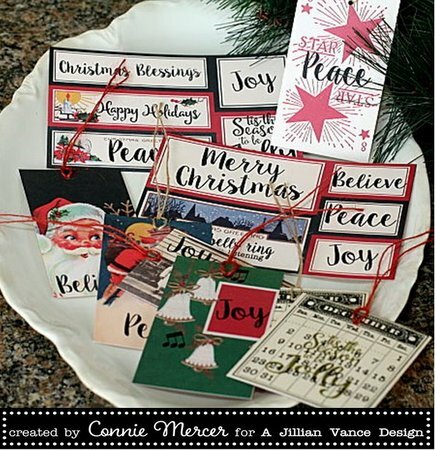 love all your tags and labels, connie!! a super clever and creative gift idea!! Love this!! So fun and cute! 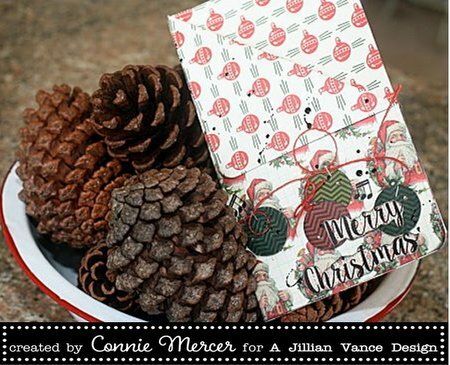 What a cute and clever idea and nice little gift to give out in a pinch!